The new season is due out on January 2019.
and his partner as they investigate a missing children's case around the Ozark Mountains. Stephen Dorff, Carmen Ejogo, and Ray Fisher are also part of the season which is set to air on January 19 on HBO. Over the summer, it was rumored that Ali would be involved in True Detective's new season. 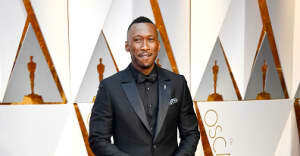 Those rumors were confirmed on July after HBO’s president of programming Casey Bloys told reporters that the Oscar-winning actor would play the lead role.